Wow! Sometimes simple is best. 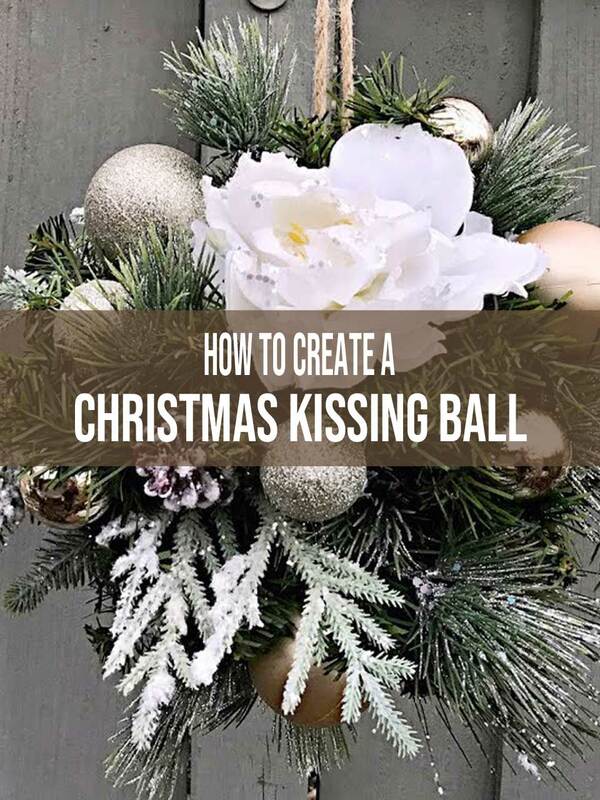 Here is a cool Christmas kissing ball design tutorial from Christopher Hiedeman that I really like. Whether you are a veteran or newbie do-it-yourself designer, this short video shows you how easy it is to put together a fabulous kissing ball, even if you’ve never made one before. I think you are going to truly love this vid, especially if you really into quick and easy holiday decor ideas. Watch and see if you agree! Decorative kissing balls are perfect seasonal replacements for outdoor hanging baskets. They are also a great winter wedding decor idea. Simply choose ornaments that complement your wedding color of decor palette. And while we’re on the topic, the materials used to make this kissing ball can readily be found at almost any craft or big box store, like Michaels, Hobby Lobby, Home Depot, Dollar Tree, Walmart …among others. So look, before we begin, a confession is in order. To be perfectly honest, the main reason this site exists is a selfish one. See, I really enjoy watching wedding flower tutorials videos (like the Christmas kissing ball video you just watched), and I honestly just wanted a place where I could re-watch and share my favorites from one place. With that said, I see a lot of opportunity in creating this site. Just thought you might appreciate the truth. I just wanted to disclose the fact that yes, I do make money from this site. Even so… in no way is it my intention to sell you anything. So be sure to keep coming back! I’ll keep sharing more useful videos about flowers, weddings, and plants… and a lot more! Please enter your email address or click the red notification button on the bottom right corner of your screen, so that I can update you whenever a new video is added to our site. Whether you’re interested or not, I’d still be very grateful if you’d click the Facebook “Like” button or the Twitter “Follow” button (or both), on my sidebar, which can be found to the right of this post. Lastly, your comments are very much appreciated. You’ll find the comments section below. Please use it, okay?